FBA Prep Services for UK and European Amazon Market Places. Why FBA Inspection By Minatus? The risk of sending a product straight from manufacturer to Amazon can easily outweigh the reward. What you may believe to be saving in prep fees, you could easily be spending in Amazon penalties, refunds to customers, or in reputation. That’s where we come in. 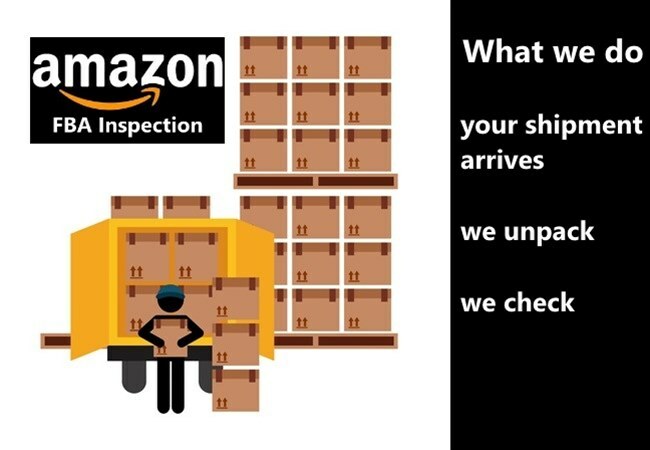 We receive your shipment and identify any potential product packaging damage, saving you Amazon penalty fees, negative reviews, and unhappy customers. 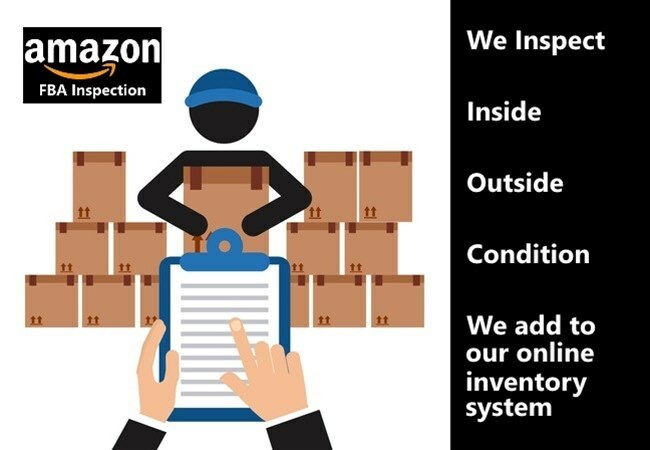 We can also inspect your products, conduct labeling, bundling, and many other services to save you time, keep your customers happy, and eliminate the risk of sending faulty or misrepresented products to Amazon. 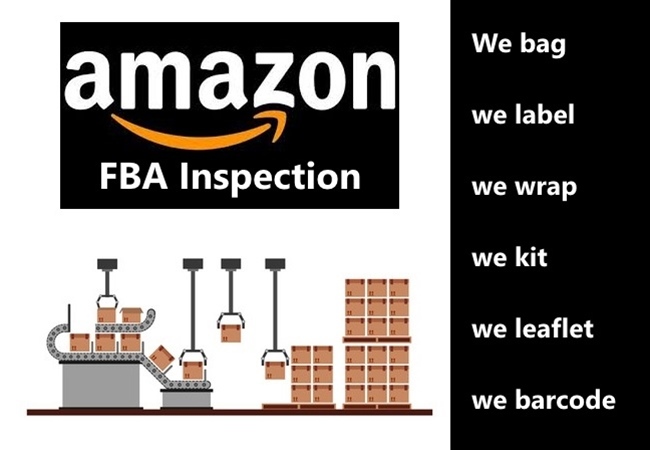 Minatus FBA Inspection Services accept any products from the UK and overseas as long as its permitted by Amazon, they are legal and not hazardous. Just a note though, the merchant is responsible for all taxes, tariffs or any other expenses getting the products to our warehouse so don’t forget to list us as a third party delivery point with your freight forwarder. Minatus saves you time and money by eliminating the need to rent warehouse/storage /office, packing material, employees, office utilities and gas and other unnecessary expenses. With Minatus you pay for what you need when you need it, enabling that extra capital to be spent on new product, marketing or sales. You don’t have to worry about ever handling or packing products again. The only thing you have to do is provide us with the products, labels and pack lists and we’ll do the rest, leaving you with more time to focus on growing your business and enjoying your life. Because Minatus is also a fulfilment centre we can provide long-term storage for all your products. We also provide a full range of inspection, fulfilment and channel integration services to suit every way you want to sell online. FBA Shipment Forward per box shipped £4.20 This a Shipment Forward service therefore order should arrive prepared to be sent out immediately as is. We receive your shipment, unpack and inspect for quantity and damage including condition of the item and cartons. We raise quarantines on Konnex including photos for any discrpency damage items, and Konnex will automatically email you for corrective action. If you are shipping from overseas you shouldn't really send a shipment directly to Amazon without knowing if it is correct or even containing damaged items. If you consistently ship rubbish to Amazon they will return it to you (at your cost), possibly send incorrect items to customers because nobody has checked them. This will have customers returning your products, leaving you negative feedback which in the end will hurt your account and possibly end up with your account being closed. Remove all shipping labels and barcodes and relabel with Amazon shipment labels. Re package or consolodate (no prep required) for Ship cartons to Amazon. Use Minatus Fulfilment Centre as your product return address for UK and overseas clients selling on Amazon UK. Did you know overseas sellers that wish to sell on international Amazon sites MUST have a product return address based in that country. Amazon will then handle all Customer refunds and returns. FBA - Fulfillment by Amazon why do you need to outsource it? Amazon is one of the world’s largest internet companies. They managed to bring e-commerce to the next level of success. Their resources allow spending astonishing amounts of money on advertising and other related activities. The number of daily visitors is tremendous. In addition, the more important fact is that they provide opportunities for small business to use Amazon’s online platform for selling goods. Actually, this grants ability to benefit from unrivaled advance of the company. Sellers can generate an unbelievable inflow of customers simply by placing their products on the website’s pages. Yet, this approach becomes a source of problems due to the strict requirements on fulfillment by Amazon (FBA). There is a straight policy for all orders: if they do not comply the rules, they are not processed. Even more, your company may be charged for additional fees in case the guidelines were disregarded. There is a simple way to prevent the situation – outsource FBA inventory management. Minatus offers Amazon FBA prep service along with FBA inventory management. -	Inspection of products and packages. -	Processing of goods before dispatching them to Amazon. As a third-party logistics provider with unmatched experience, we possess all the knowledge, skills and equipment, which are necessary to get the job done. Our goal is not only to ensure that every package is delivered to your customer, but also to follow all delivery terms. In result, your client is satisfied and your business is prospering. With this option, you do not need to waste your valuable time and resources on dirty work of inspecting, labeling and wrapping just to comply with the high standards. You can focus on the main area of business activities just after you request Amazon FBA prep service from us. Consider every order as completed ever since you get it. FBA inventory management Minatus helps our clients to keep the information about their stock up-to-date. This approach grants that you will never encounter a problem, when a customer has ordered goods, which are not available at the moment. It is a simple way to become a reliable partner for Amazon. Do not miss the opportunity to grow your business with ease! Let the experienced team of professionals deal with FBA fulfillment. Get the benefits of working with Amazon without any efforts! There is one rule of thumb you need to know: the reputation of your brand always precedes you. In light of this, if something tarnishes it, your chances of success are getting low. From the perspective of Amazon, letters of complaint and negative customer reviews are those factors that give your brand a bad name. The great news is that you can now mitigate all the risks associated with the tainted reputation with the help of Minatus and our FBA prep services for UK and overseas sellers. 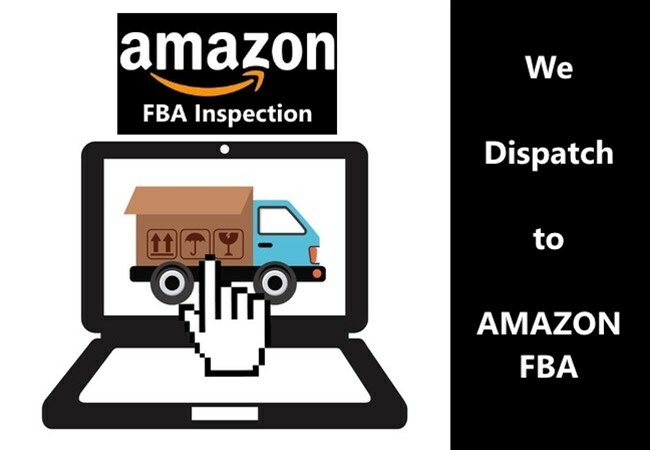 As far as you know, non-compliance with Amazon FBA requirements is likely to lead to severe consequences, including order delays and penalties. What is even worse is that it may upset the apple cart and, thus, prevent your business from growing. With Minatus, however, this is no longer the case. We specialise in preparing your products, regardless of their volume and size, and carefully inspecting each of them to make sure all FBA guidelines are met. The central aim of our services of FBA prep for UK and overseas merchants is to save your time and money by ensuring Amazon compliance. 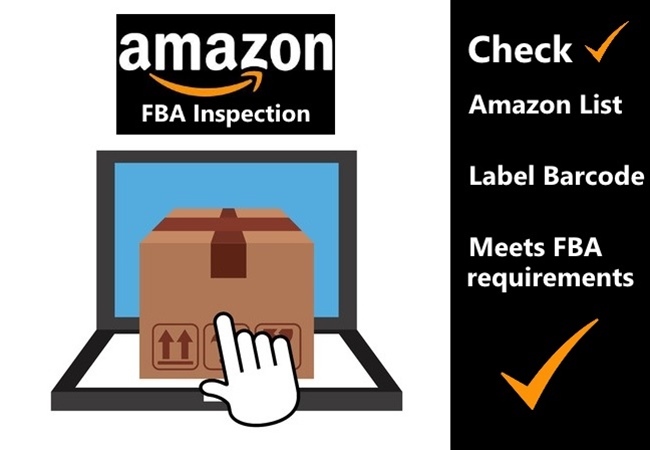 What is included in our FBA inspection services? dispatching your goods from our warehouses for further fulfilment by Amazon. ship original goods and cartons to Amazon fulfilment centres. Keep in mind that you, as a seller, have to pay all fees and tariffs when shipping your goods to our warehouses. What benefits will you get by using the Minatus FBA preparation service? Teaming up with Minatus means taking an immense weight off your shoulders. Our inspection services are necessary for those looking to grow their businesses with no need to hire more staff for product preparation. All you are asked to do is organise shipments to our warehouses, provide us with your labels, and let us know your FBA shipment details. We will take care of everything else. You can also benefit from our fulfilment solutions if you want to leverage considerable storage facilities. Furthermore, our fulfilment centre can be used as your return address in the UK so that Amazon can send your products back if there is something wrong with them. To open the door of new business opportunities, it’s high time to turn to Minatus – your trusted FBA prep company. We assure you that you won’t find better prices than ours!